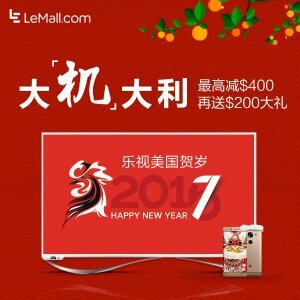 Lemall.com offers LeTV Box U4 + 1 year Letv premium membership for $59.99 via coupon code "DM20". Features: Despite being about the size of a drink coaster, the U4 connects your TV to a massive library of Chinese and international entertainments choices, including on-demand video to over 120,000 TV shows and 6,000 movies in 1080p HD, enabling you to have a top-tier, cinematic experience. Lemall.com offers pre-heating Lemall US 414 Campaign. Features: The LeEco Super4 X43 Pro is a smart ecotv that features a stunning 4K UHD display, a workstation-grade graphics processor and cinema-quality sound--all simply unheard of in this class. Features: The LeEco uMax85 is awe-inspiring both in terms of its staggering 7+ foot screen size and its lineup of class-leading technologies including Dolby Vision, quad-core CPU and GPU, Harman Kardon® audio. Quad-Core CPU and GPU. 4GB Memory and 64GB Storage. Bluetooth 4.1. Features: Qualcomm Snapdragon 652 CPU and 3GB low-profile RAM, 32GB Storage, 3000mAh Battery with Qualcomm® Quick Charge™ 3.0, 5.5” Full HD Display, 16MP main camera and 8MP Front Camera, 4K video capture, Fingerprint Phone Security. Features: Qualcomm Snapdragon 821 CPU, 4GB RAM and 64GB Storage, 4070 mAh Battery with Quick Charge 3.0, Dolby® Atmos™ stereo speakers, 0.5 seconds Intelligent Fingerprint Security, 5.5” FHD LDPS Display, 16MP + 8MP Camera, 4K Video Capture, Android 6.0. 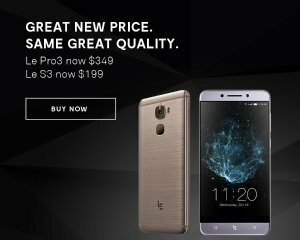 Lemall.com offers the $50 instant saving on Leeco Phone. Le Pro3 Cellphone + 3 months DTVN + 3 months EcoPass for $349(was $399). Features: Qualcomm Snapdragon 821 CPU, 4GB RAM and 64GB Storage, 4070 mAh Battery with Quick Charge 3.0, Dolby Atmos stereo speakers, 0.5 seconds Intelligent Fingerprint Security, 5.5” FHD LDPS Display, 16MP + 8MP Camera, 4K Video Capture, Android 6.0. Le S3 Cellphone + 3 months DTVN + 3 months EcoPass for $199(was $249). Features: Qualcomm Snapdragon 652 CPU and 3GB low-profile RAM, 32GB Storage, 3000mAh Battery with Qualcomm Quick Charge 3.0, 5.5” Full HD Display, 16MP main camera and 8MP Front Camera, 4K video capture, Fingerprint Phone Security. Lemall.com offers Big Tournament Promotion, Get Ready For The March Madness. Deal starts at 02/20 00:00:00AM EST, ends 03/12 23:59:59PM EST. Accessories phase 1 (2/20-3/5): 51% off accessories storewide promotion via coupon code "51STORE". Accessories Phase 2 (3/6-3/12): Buy 1 Letv Super Power Bank 13400mAh, get a free LeMe Bluetooth Headphones EB20(Black) for $39.99. Lemall.com offers up to $350 off! 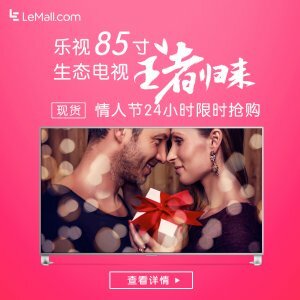 Lemall Valentine's Day Flash Sale. Pre-heating start time: 02/9 00:00:00AM EST. Campaign Start Time: 02/14 0:00:00AM EST. Campaign End Time: 02/14 23:59:59PM EST. 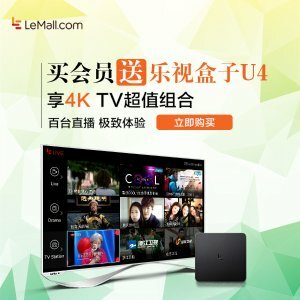 Lemall.com offers Game-Winning Deals On TVs And Smartphones. Click "Buy Now" on the event landing page to have gifts added to your cart simultaneously. 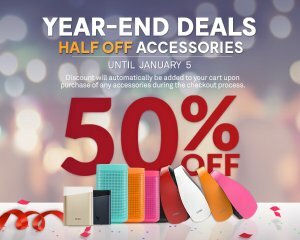 Lemall.com offers 50% off End of Xmas Accessory Clearance. Discount will be automatically be added to your cart upon purchase of any accessories during the checkout process. Up to thirty (30) units of one color per order. Deal ends 1/5 23:59:59 EST. 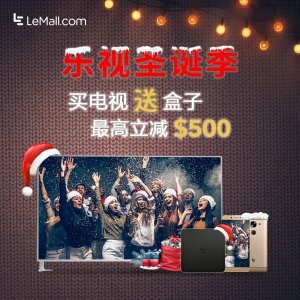 Lemall.com offers Lemall US Xmas Celebration. 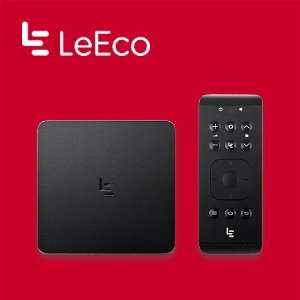 LeEco Super4 X65 4K UHD TV + U4 TV Box for $899 via coupon code "DMX65" ($300 value) and auto apply U4, coupon stackable with LeRewards. LeEco Super4 X55 4K UHD TV + U4 TV Box for $549 via coupon code "DMX55"($150 value) and auto apply U4, coupon stackable with LeRewards. Le S3 Cellphone was $249, now for $149 with LeRewards and coupon code "DMS3GRY" for Gray or "DMS3GLD" for Gold($20 value). Features: Qualcomm® Snapdragon™ 652 CPU and 3GB low-profile RAM, 32GB Storage, 3000mAh Battery with Qualcomm® Quick Charge™ 3.0, 5.5” Full HD Display, 16MP main camera and 8MP Front Camera, 4K video capture, Fingerprint Phone Security. Le Pro3 Cellphone now $269 with LeRewards and coupon code "DMPRO3" ($50 value). Features: Qualcomm® Snapdragon™ 821 CPU, 4GB RAM and 64GB Storage, 4070 mAh Battery with Quick Charge 3.0, Dolby® Atmos™ stereo speakers, 0.5 seconds Intelligent Fingerprint Security, 5.5” FHD LDPS Display, 16MP + 8MP Camera, 4K Video Capture, Android 6.0. 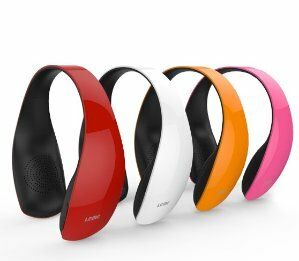 Lemall.com offers the Leme EB20 Bluetooth Headphones for $14.99. See price in checkout page and free shipping. Features: Supports Bluetooth 4.0, Works with most smart phones and TVs, Compatible with iPhone, iPad and most Android phones. Offers a superior listening experience by enhancing transmission distance and stability while significantly reducing standby power consumption. Lemall.com offers LeBox U4 for $59.99 via promo code "DMBF20". 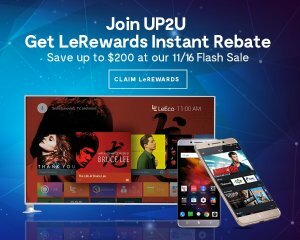 Lemall.com offers Save Up To $200 when you Claim LeRewards for Lemall New Product Flash Sale. Le S3 Cellphone was $249, now with LeRewards for $149, and free 3 months EcoPass. Le Pro3 Cellphone now with LeRewards for $299, and free 3 months EcoPass. LeEco Super4 X65 4K UHD TV now with LeRewards for $1199, and up to 12 months EcoPass. LeEco Super4 X55 4K UHD TV now with LeRewards for $699, and up to 12 months EcoPass. LeEco Super4 X43 Pro 4K UHD TV now with LeRewards for $449, and up to 12 months EcoPass. Features: The LeEco Super4 X55 raises the bar of what a smart TV should really be. This ecotv features a stunning UHD 4K display, Harman Kardon® audio, a quad-core CPU and GPU, 3GB DDR3 RAM, 16GB SSD Storage. Bluetooth 4.1. 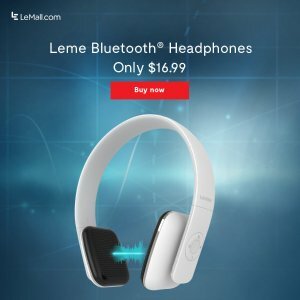 Lemall.com offers the Leme EB20 Bluetooth Headphones for $16.99. 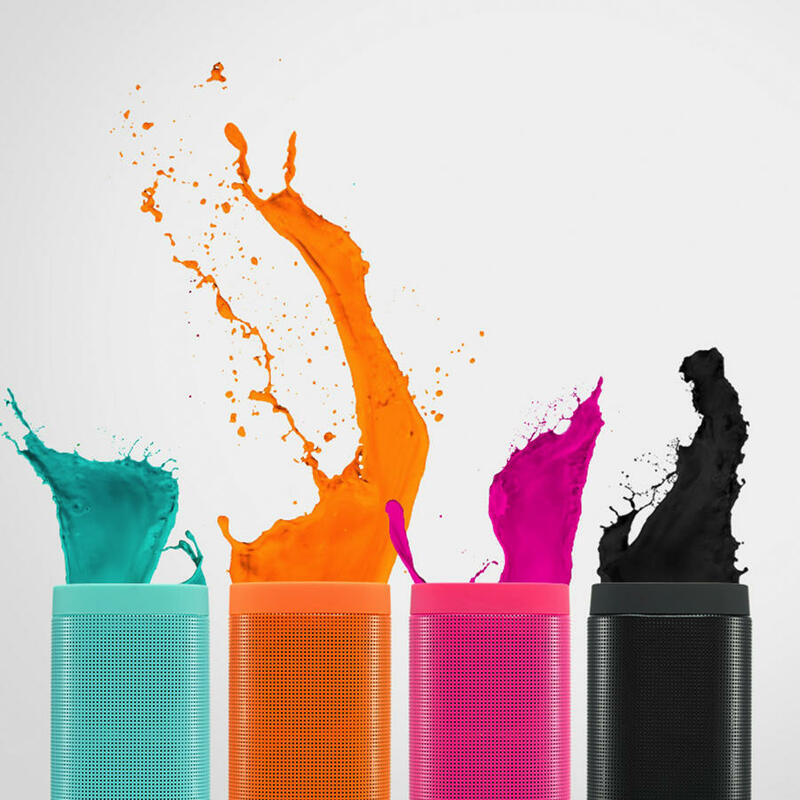 Up to 5 units of one color per order. 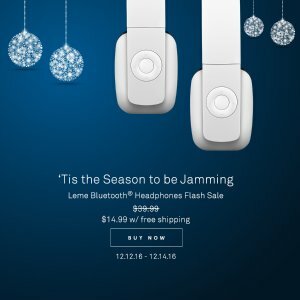 Lemall.com offers EB30 Bluetooth Headphones Flash Sale. Deal ends 9/15/2016 23:59:59 EST. 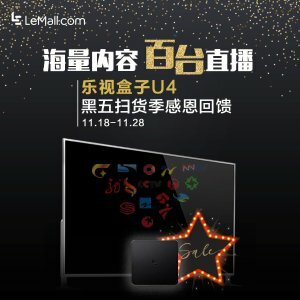 Lemall.com offers the Lemall U4 TV BOX Compaign. 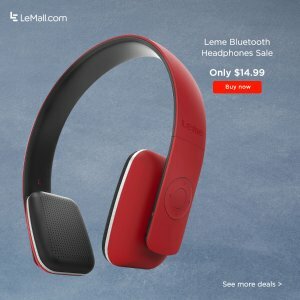 Lemall.com offers EB20 & EB30 Bluetooth Headphones Back-to-School Sale. EB20& EB30 Bundle for $29.99(Reg $79.98). 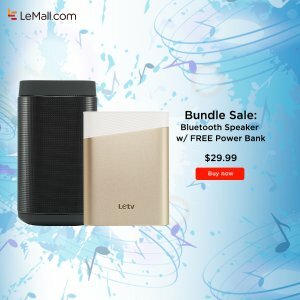 Lemall.com offers Buy on bluetooth speaker ($29.99) and get 1 silver or gold power bank for free (Black, Blue, and Pink colors are available). Up to five (5) units of one color per order. Features: Don’t forget to add a Letv Super Power Bank to your cart for free! Cylindrical wireless speaker offered in four vivid colors; Speakers to express your individualized tastes; Enjoy immersive sound delivered by 1.57in and 1.85in driver units; Unique cavity design projects sound in three directions. One hand-held speaker can fill a room. 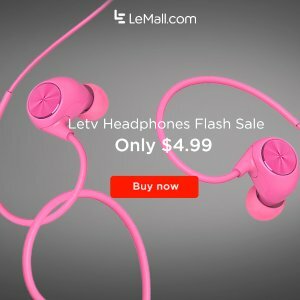 lemall.com offers the Letv Reverse In-Ear Headphones 4Days Promotion for $4.99. Features: Colorful earbuds featuring cutting-edge technology at an unbeatable price. Each earpiece is made of brushed metal that pairs perfectly with a carefully selected set of dynamic colors, blending seamlessly into a product that marries elegant form and excellent functionality. 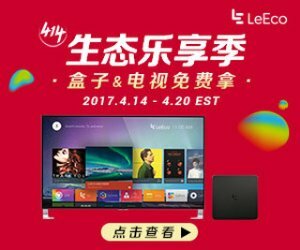 lemall.com offers the Letv Bluetooth Speaker 4Days Promotion for $12.99. Features: Cylindrical wireless speaker offered in four vivid colors; Speakers to express your individualized tastes; Enjoy immersive sound delivered by 1.57in and 1.85in driver units; Unique cavity design projects sound in three directions. One hand-held speaker can fill a room. 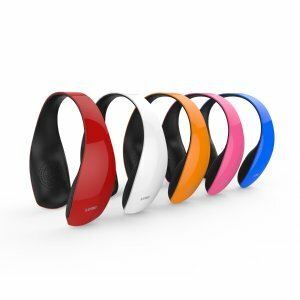 lemall.com offers the EB30 Bluetooth headphone for $14.99 with no code needed. 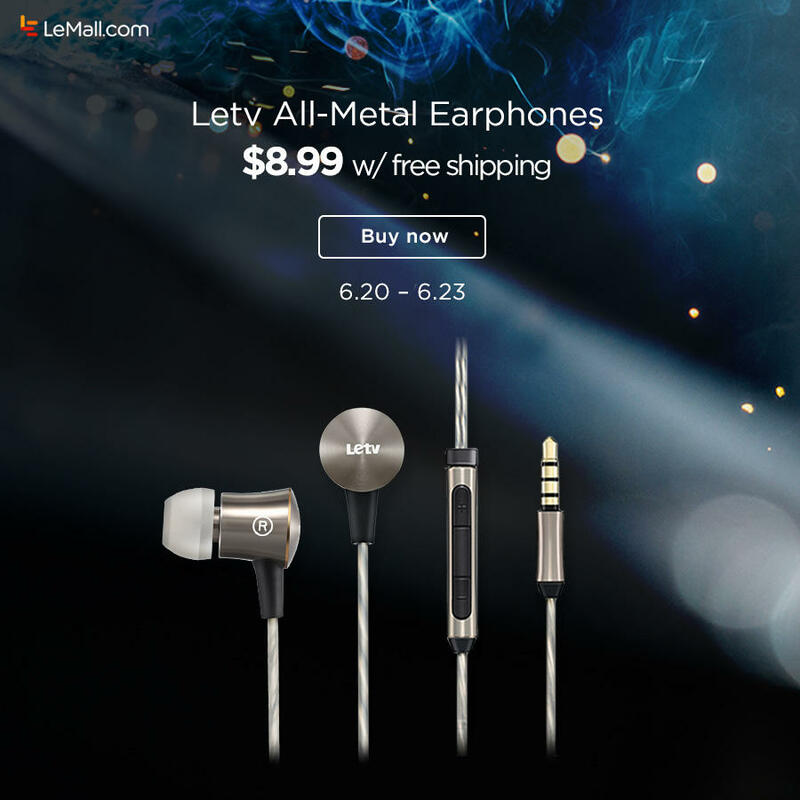 lemall.com offers the Free Shipping Letv All-Metal Earphones for $8.99. Features: A metallic resonance cavity that produces powerful sounds only found in high-end earphones. Driver casings are designed and made with solid sound-insulating material, reducing external noise while minimizing sound leakage.